Kashiwa-jima Island is located at the westernmost of Kochi Pref. 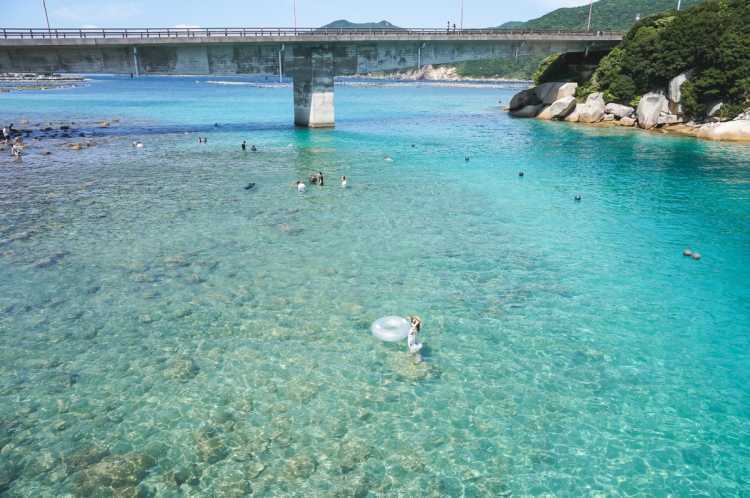 People say the clear emerald sea isn't worse than Okinawa's, or more like the Mediterranean. It was not easy to go there, but I could enjoy like being a paradise.◎For threre're craggy places under the bridge, you need to ware marine shoes and rash guard. Kashiwa Island has beautiful sea around it. 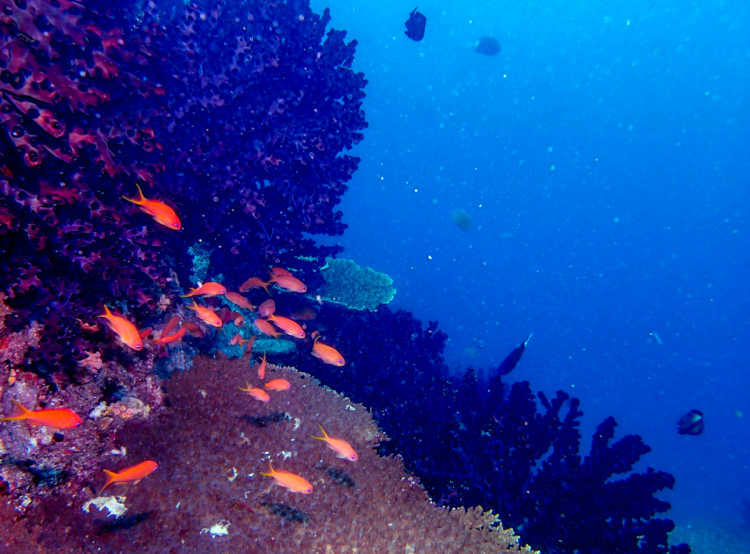 I enjoyed diving and could meet the attractive sea creatures under the sea! For that reason, Kashiwa Island is the object of many divers attention. You can find some diving shops that prepare all tools to experience diving without license.◎You can enjoy diving without license in the range of 'diving experience'. And some diving shops in Kashiwa Island have this services. But if you want to do diving many times, you should get license.